2. 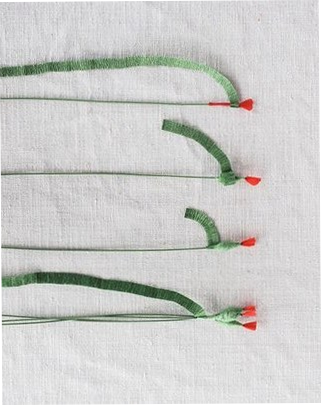 After we have prepared 3 identical workpieces, we begin to wind every stripe of green paper. It is necessary to form a small thickening, and then to twist three preparations together. 3. 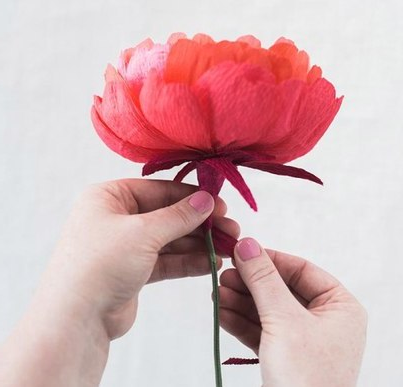 Now we begin to manufacture stamens for the core of our future peony of paper. 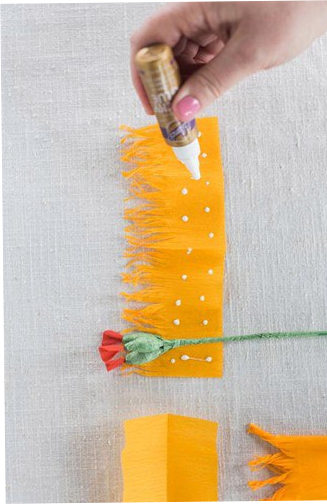 To do this, cut a rectangle of yellow or orange paper and from one edge cut the fringe. After that apply on all length glue and wound a fringe on a workpiece. 4. 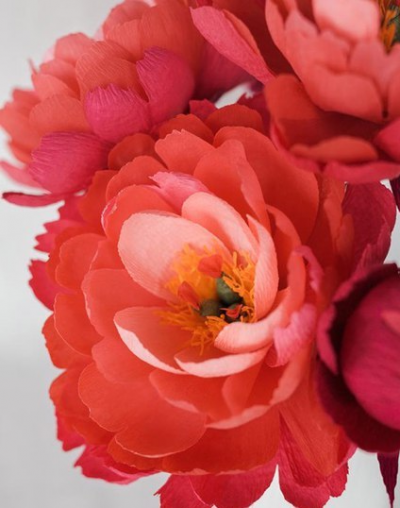 Let us now move on to the formation of peony petals. 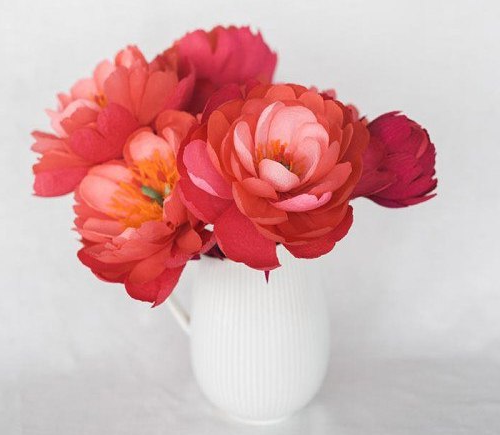 For the peony to look like a real, we will need petals of various forms. You can use the options that are presented in the picture. 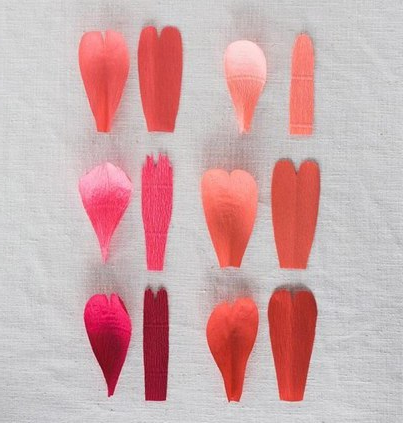 It is also desirable to use different shades. 5. We begin to glue on a circle resulting earlier billet of a flower. Thus we begin to form a bud of a peony from a paper. 6. 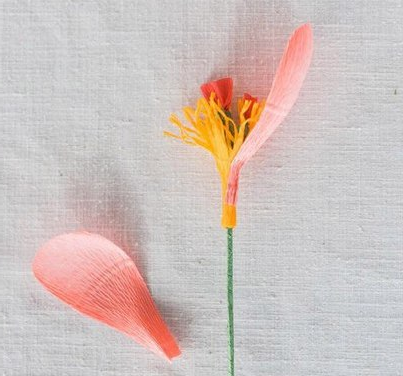 We continue to glue the petals until the size of the bud is not satisfied. 7. The peony from the paper is almost ready. 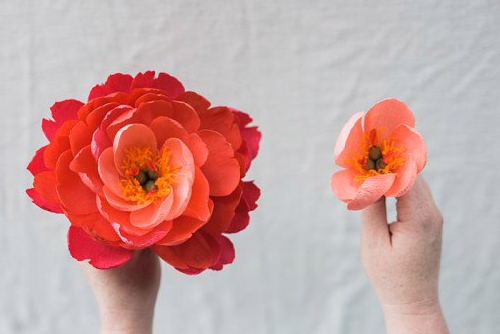 It remains only to cut and paste a few extreme petals. They can be made darker in color. 8. 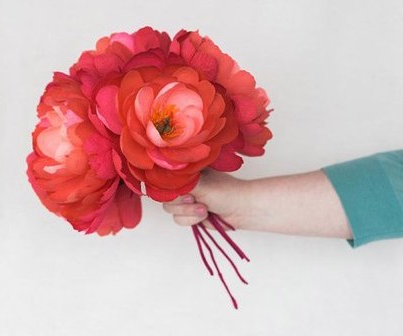 Now you need to repeat several times all the steps to craft a few more peonies and make a beautiful bouquet.